Take center stage with this remarkably chic sterling silver toggle bracelet. 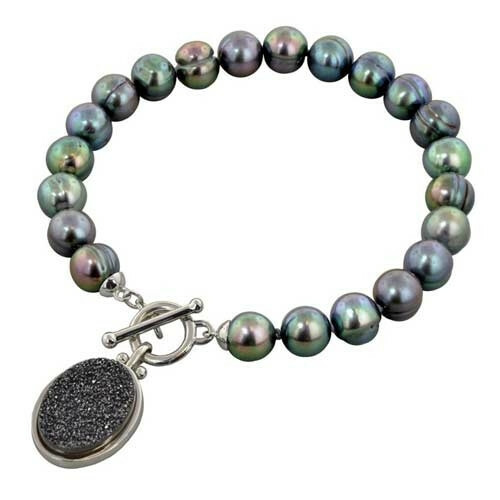 This stunning bracelet features 7-8mm black round ringed freshwater cultured pearls and black agate druzy stones. Every stone is unique in cut and crystalline structure to become the piece that will get you noticed!